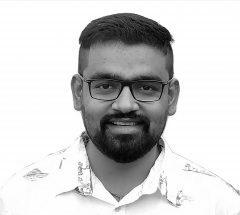 Akash Kumar Singh is Access Now’s South Asia Public Policy Fellow. Akash won the prestigious LAMP (Legislative Assistant to Member of Parliament) and assisted Mr. Ninong Ering — Former Union Minister and Member of Parliament from North-East India. Besides several parliamentary interventions, Akash was able to introduce four major Private Member Bills in the Indian Parliament. Akash gained his Master's degree in Media Governance form the Centre for Culture, Media, and Governance, Jamia Millia Islamia, Delhi — a Central University in India. He took up Mass Communication as his undergraduate course from Makhanlal Chaturvedi National University of Journalism and Communication. Akash has been a University Topper and has been awarded by the Prime Minister of India with the awards of ‘Meritorious Student of India’ on Republic Day — 2016. He also received the ‘Emerging Journalist Award’ from Madhya Pradesh Government — a state in central India. Akash loves poetry and cooking.